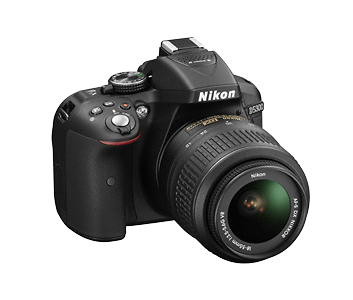 Image quality, connectivity and creative control come together in this lightweight, full-featured DX-format DSLR. The new EXPEED 4 is our fastest image processor to date and complements the 24.2-megapixel CMOS. With its 39-point autofocus, improved white balance and wide sensitivity range, the D5300 lets you shoot stunning photos and Full HD movies. 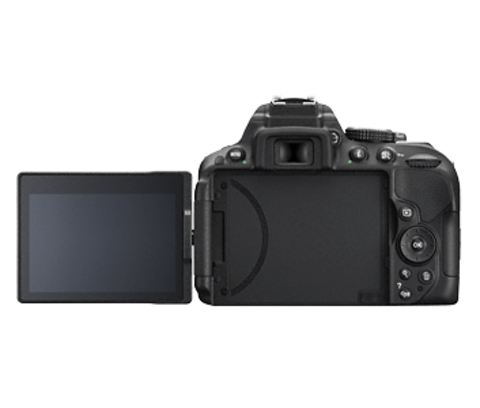 It’s our first DSLR to feature a built-in Wi-Fi®, so you can instantly transfer your photos*. Its GPS function saves location information to your images. 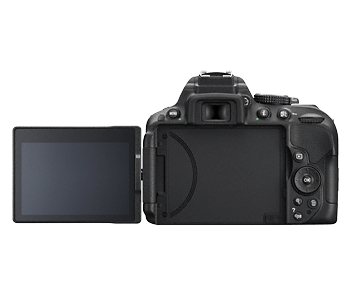 A crystal-clear 3.2-inch LCD vari-angle monitor lets you shoot at any angle. 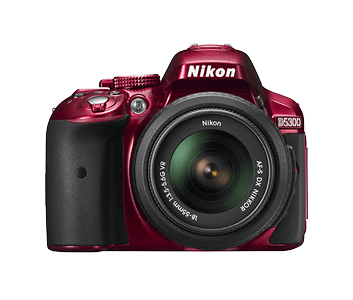 With so many innovative features, the D5300 adds new dimensions to photography. 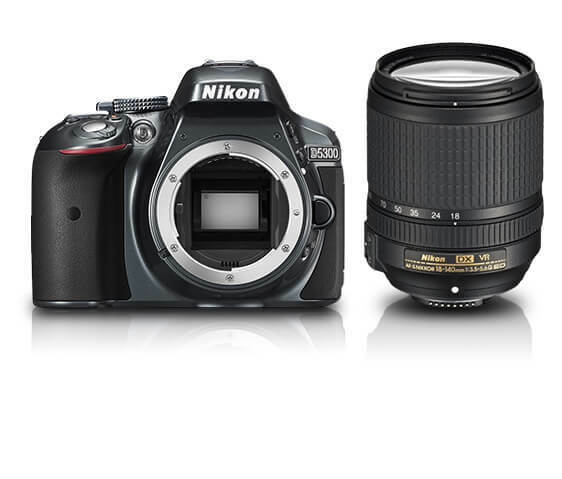 This kit comes with a handy all-in-one zoom lens for wide-angle and telephoto shooting. It features Vibration Reduction (VR) to reduce camera shake and a Silent Wave Motor for quiet autofocus when shooting videos. 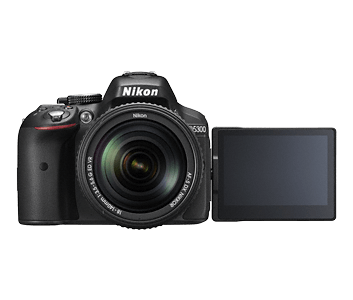 Featuring enhanced quality and speed, the EXPEED 4 image processor is the perfect companion to the 24.2-megapixel DX-format CMOS. 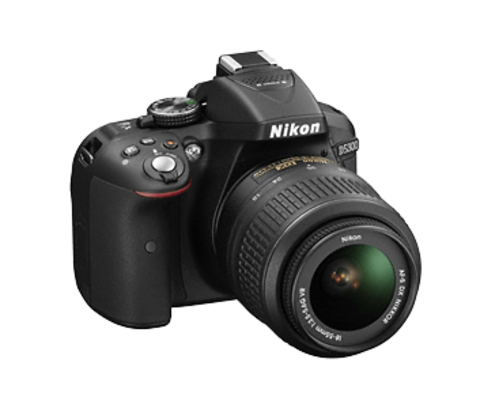 Capture full-resolution 12-bit RAW images at up to 5 frames per second. An improved white balance ensures brilliant whites, greater colour nuances, smooth gradations and sharp edges. The D5300 is designed without an optical low-pass filter (OLPF), allowing the high resolution CMOS sensor to record the smallest details with precision. 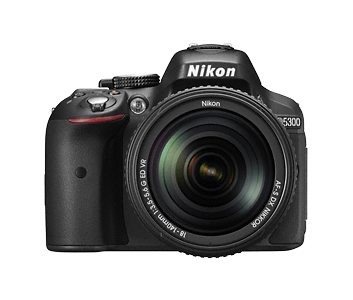 Its wide sensitivity range of ISO100 – ISO12800 at normal setting delivers impressive noise reduction and is expandable to 25600 for extreme low-light situations. 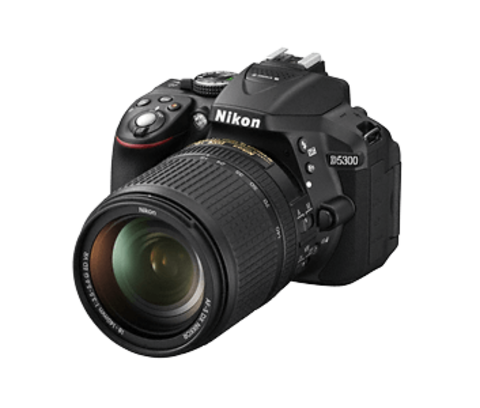 For optimal sharpness, the D5300’s accurate 39-point autofocus quickly locks on to and track subjects. Its 3D Tracking mode seamlessly maintains focus even when your subject is moving towards or away from the camera – ideal for videos and sports photography. Choose from a variety of autofocus-area focus modes, including Wide-Area AF, Face Priority AF and Subject Tracking AF to match your shooting styles. Share precious moments the instant you snap them. Simply transfer shots to your computer or mobile device with the D5300’s built-in Wi-Fi®*, a first among Nikon DSLRs. A free Wireless Mobile Utility app lets you remotely control the camera with your mobile device. When travelling, record GPS and altitude information to your images so you can relive your adventures with ease and convenience. A travel log function automatically maps your journey (with location points recorded at 15, 30 or 60-second intervals) even when the camera is off. Personalise your images from the camera with 9 special built-in effects, including the new Toy Camera and HDR Painting. For backlit scenes, use its intelligent D-Lighting function to automatically set the right exposure for your subjects while retaining the natural ambience of the background. The D5300 lets you record videos with cinematic quality and stereo sound. 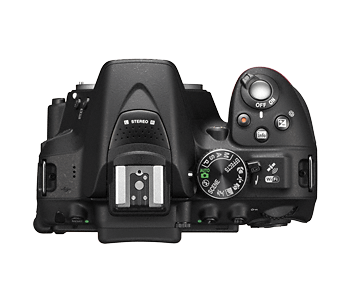 The autofocus continuously tracks subjects to ensure fluid motion and crisp details. The frame rate can be set at 60p/50p/30p/25p/24p for additional video options. 1. 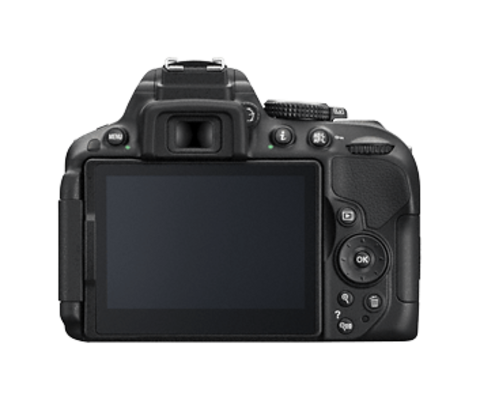 Unless otherwise stated, all figures are for a camera with a fully-charged battery operating at the temperature specified by the Camera and Imaging Products Association (CIPA): 23 ±3 °C (73.4 ±5.4 °F).